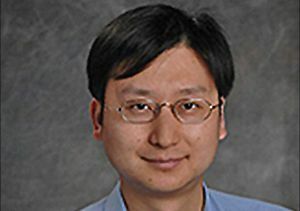 Associate professor Yuanxun 'Ethan' Wang is leading research to develop a new class of wireless communication and sensor technologies. An interdisciplinary team of researchers from the UCLA Henry Samueli School of Engineering and Applied Science have been awarded a four-year, $2 million grant by the National Science Foundation to “bend the rules of classical physics” in developing a new class of wireless communication and sensor technologies that could be significantly smaller and more efficient than current state-of-the-art technologies. The research is being led by Yuanxun “Ethan” Wang, associate professor of electrical engineering, with co-principal investigators Greg Carman and Christopher Lynch, both professors of mechanical and aerospace engineering. The researchers seek to exploit "time reversal symmetry breaking," a phenomenon in classical physics in which an electromagnetic wave, or acoustic wave, must travel the same way in one direction as it does in the opposite direction. Acoustic waves carry information. Acoustic radio frequency devices, which are standard in all of today’s cell phones, work by converting electromagnetic waves into acoustic waves, then processing them and converting them back into electromagnetic waves. This mechanism is what sends data into and out of the phone. 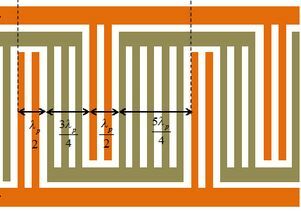 The researchers seek to “bend the rules” of time reversal symmetry by guiding acoustic waves along specific paths — without creating additional noise. By way of illustration, the researchers offer this scenario: Imagine shouting to a work colleague across a sizable office filled with cubicles walls. You need to shout loud enough for the sound wave to have enough strength to reach your colleague beyond the walls and other objects that dampen the sound. Now imagine everyone loudly shouting to each other, which uses a lot of energy and creates a lot of noise that interferes with effective communication. But what if everyone could simply speak in a normal voice and the walls, made of a specialized material, would relay your message directly to your colleague? You’d use less energy and enjoy a much quieter office. The UCLA Engineering researchers are pursuing a similar concept at the tiny scale of semiconductor chips and the acoustic waves that propagate along the chip’s surface. Their efforts could lead to dramatic improvements in efficiency and decreases in size for wireless technologies and sensor components such as electronic circuits, mixers and amplifiers. To accomplish their goal, the researchers must guide and amplify the acoustic waves, guiding them along specific paths without creating additional “noise” — something no currently available device can do. The researchers’ approach is to create periodic acoustic “bumpers” along the semiconductor chip pathway. The bumpers vibrate under the force of an external oscillating electric field. The way these bumpers are laid out and the electric field controls will override the time-reversal symmetry, effectively amplifying the acoustic waves traveling in one direction and converting them to a higher frequency. Meanwhile, the acoustic waves moving along the chip in the opposite direction will propagate as if they do not see the bumpers at all. Guiding and amplifying acoustic waves on the chip along specific routes will result in less noise on the chip and use less energy, as well as taking up less space. Among the many potential applications of these advances are improved wireless sensors and technologies for autonomous vehicles and for environmental monitoring. The grant to UCLA Engineering supporting this research was one of nine grants nationwide that were announced through NSF’s Emerging Frontiers and Innovation program, which supports high-risk, high-payoff interdisciplinary research. The grant will also support K-12 outreach efforts at UCLA, including summer research experiences for high school students from underrepresented populations. Schematic of acoustic "bumpers" in an acoustic radio-frequency device.